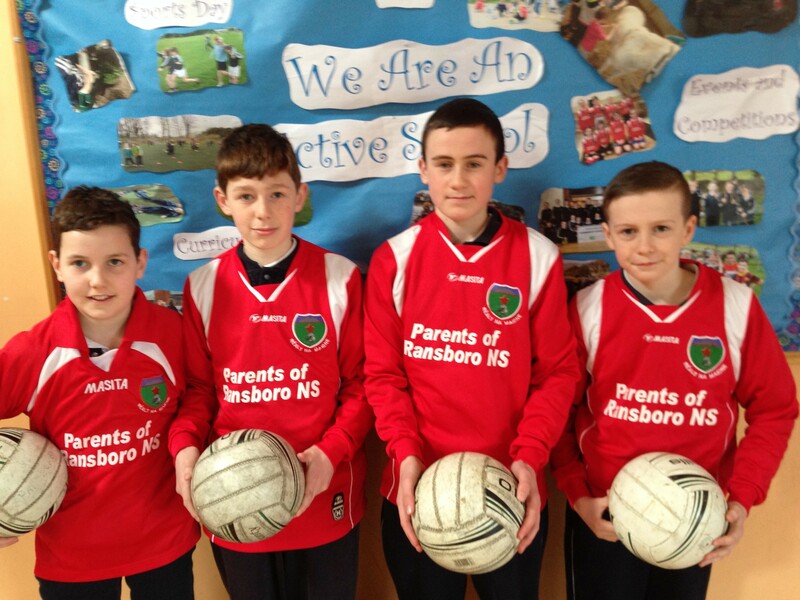 Congratulations to Liam, Cormac, Andrew and Jamie who won the Sligo final of the GAA Amigos skills challenge. The challenge was held in Summerhill College on Thursday 3rd March. Twelve schools from around the county participated with four players on each team. Teams were tested on their soloing, kick passing and point scoring ability. Ransboro emerged victorious with a total score of 41 out of 50 across the three disciplines. The boys receive a coaching session in the Sligo GAA Centre of Excellence as their prize. Well done also to Emma, Amy, Cliodhna and Grace who finished in 6th place in the girls’ competition.